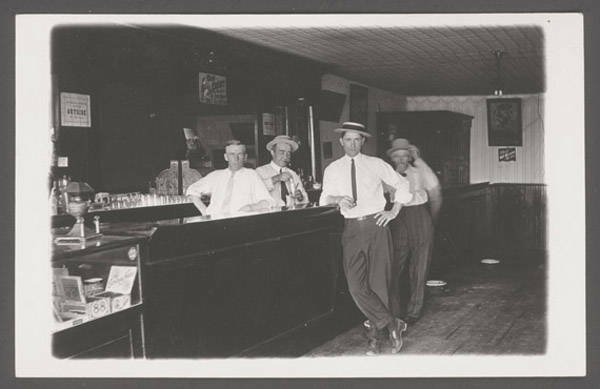 John Nelson’s photograph, 1907-1917, of the interior of a bar includes several spittoons on the floor. NSHS RG3542-95-20 (Left). “In the Norfolk federal building, in several prominent places, there has been recently hung the following sign: ‘Please Do Not Spit on the Floor. To Do So May Spread Disease.’” As a result, there had been a noticeable decrease in the number of persons “who have unintentionally used the post office lobby for a place to expectorate.” A local ordinance, which provided for a fine of from one to ten dollars for spitting in public places, had not previously been enforced. 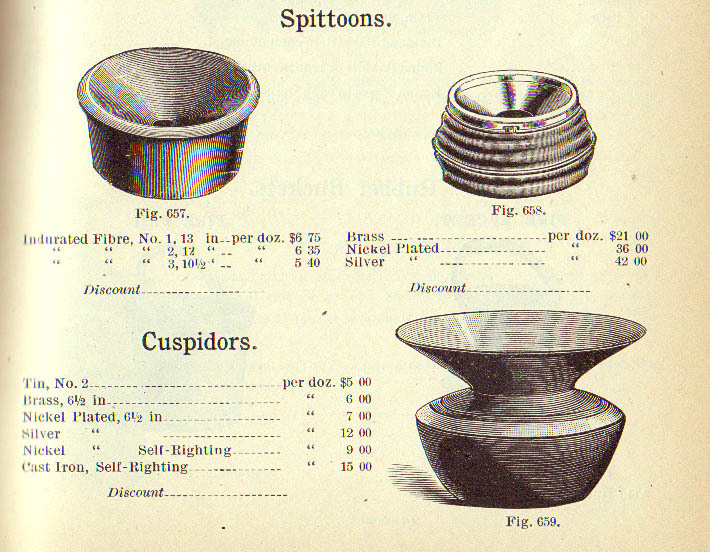 A Handlan Company catalog page from 1893 illustrating spittoons/cuspidors for sale. Read more of the News-Journal’s article in a Timeline column on the Nebraska State Historical Society website. Read about the lack of spittoons that plagued the 1897 Nebraska Legislature (and what was done about it) in History Minute 053, also on the NSHS website.